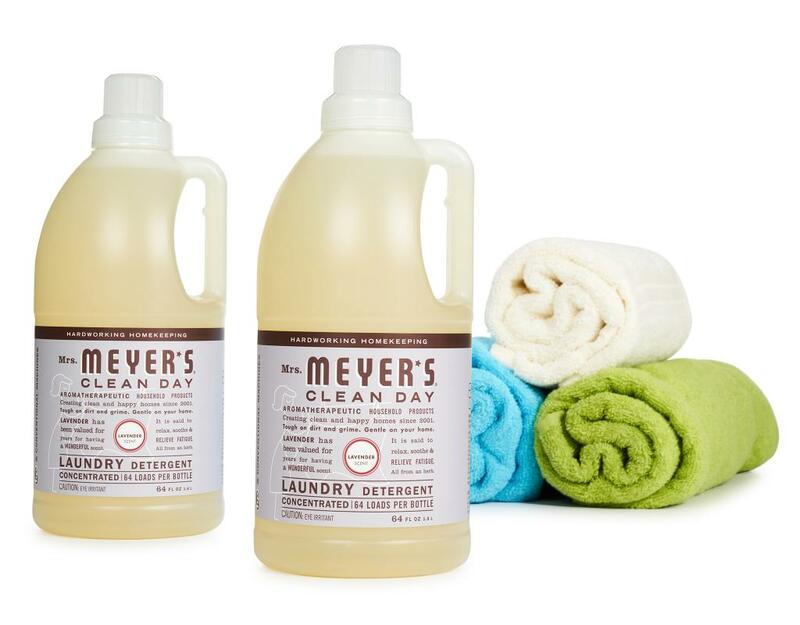 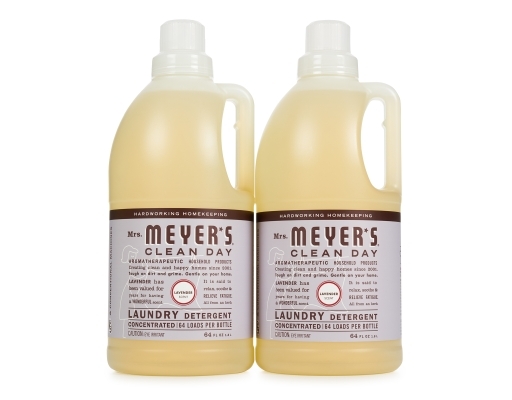 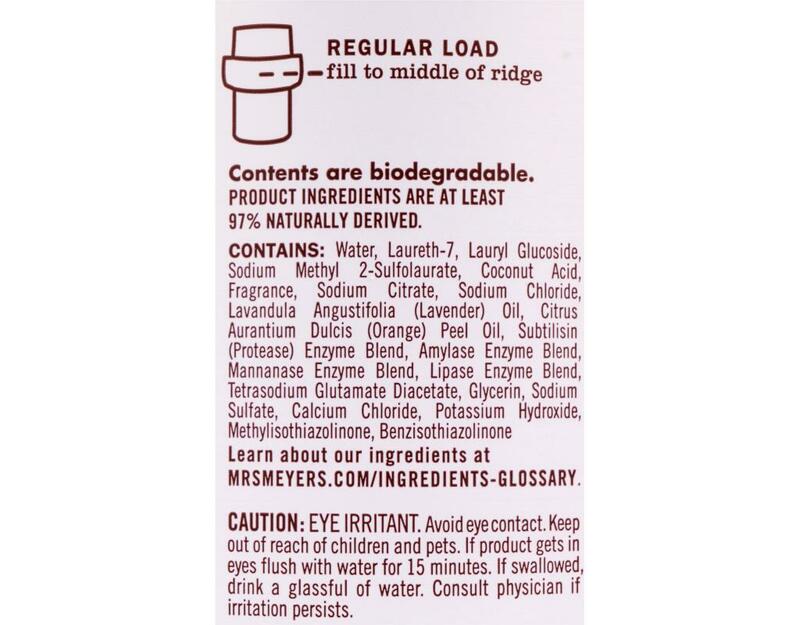 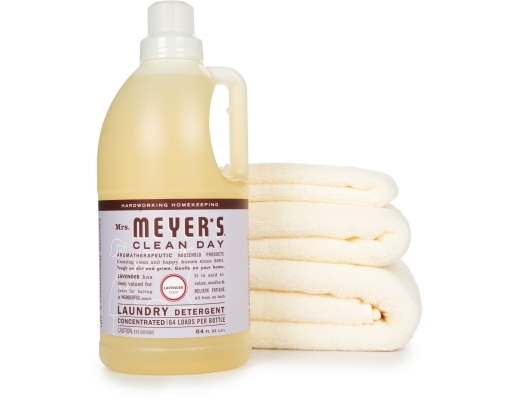 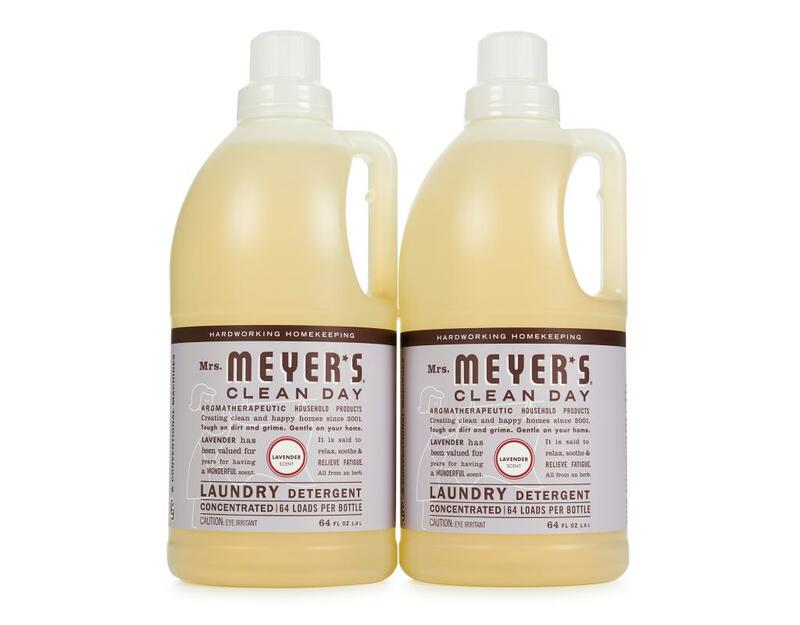 Mrs. Meyer's Clean Day Laundry Detergent liquid is hard working, concentrated, safe and gentle on clothes. 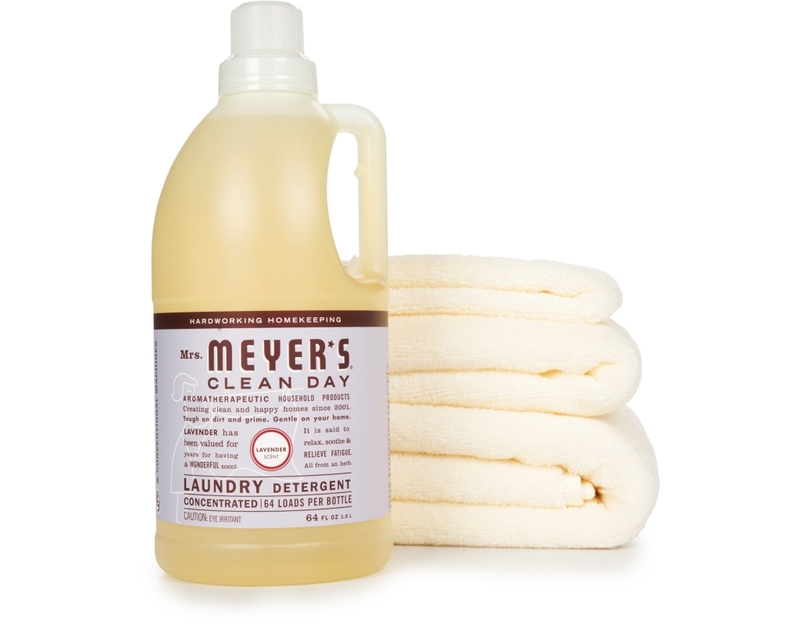 Mrs. Meyer's laundry soap really packs a punch when it comes to removing dirt and grime. 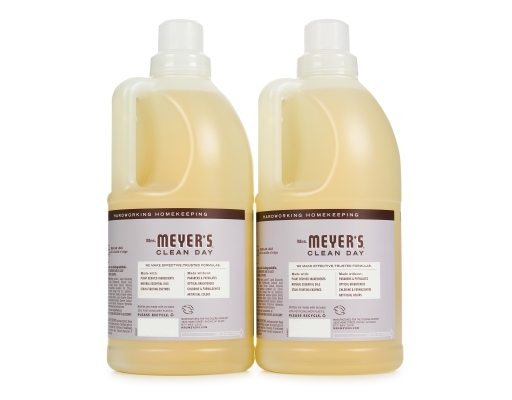 Contains Anionic Surfactants from plant-derived sources, dirt and stain-fighting enzymes, and, of course, those important natural essential oils for a garden-fresh fragrance. 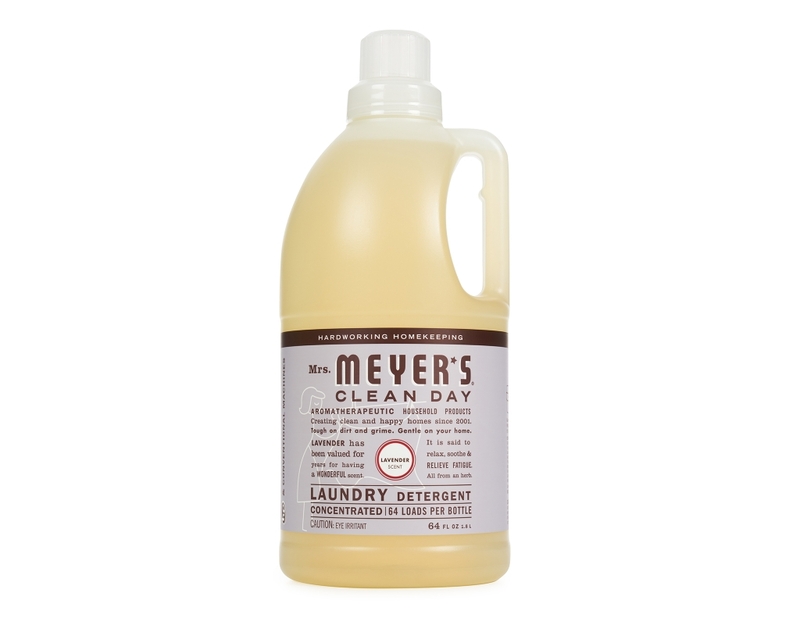 Environmentally-friendly & biodegradable, it's a high efficiency (HE) laundry detergent concentrated for 128 loads.